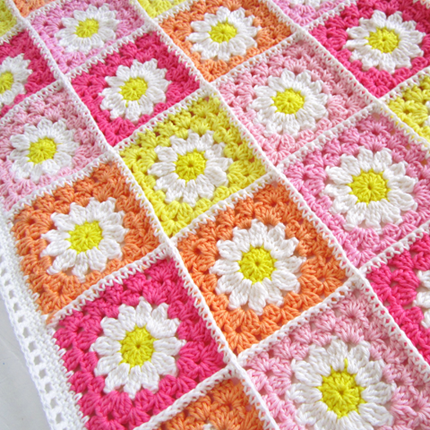 A lot of you asked me for the tutorial on the Daisy Travel Blanket Square (Flower Square VI), so here it is! Have fun with it! !